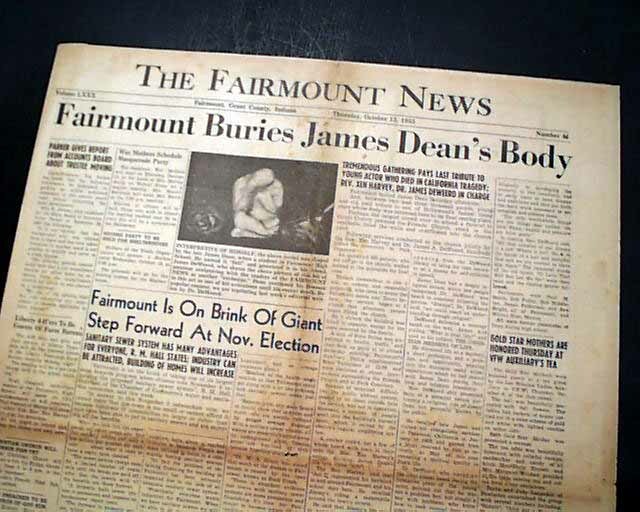 Note: Whereas this noteworthy issue has already sold, due to the unique nature of the coverage, we are making a set of 600dpi-images available for a minimal price. Once paid, we will e-mail you with a 600dpi image of the entire front page, the top-half of the front page, and a close-up of the image. 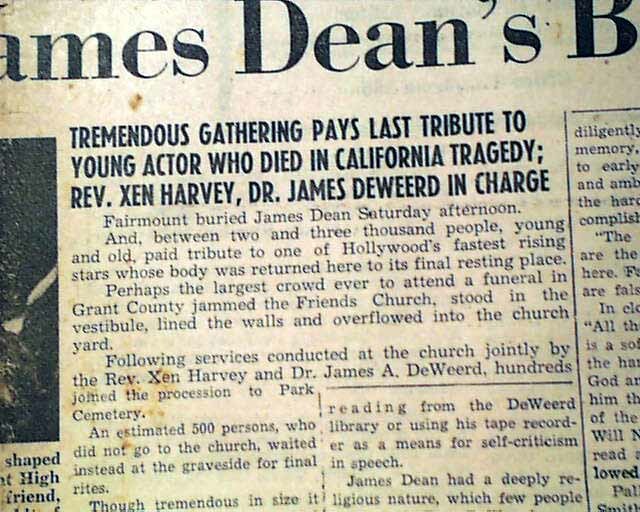 THE FAIRMOUNT NEWS, Indiana, Oct. 13, 1955 Famed actor James Dean was from Fairmount, and the banner headline reports: "Fairmount Buries James Dean's Body" with a subhead: "Tremendous Gathering Pays Last Tribute to Young Actor Who Died In California Tragedy; Rev. 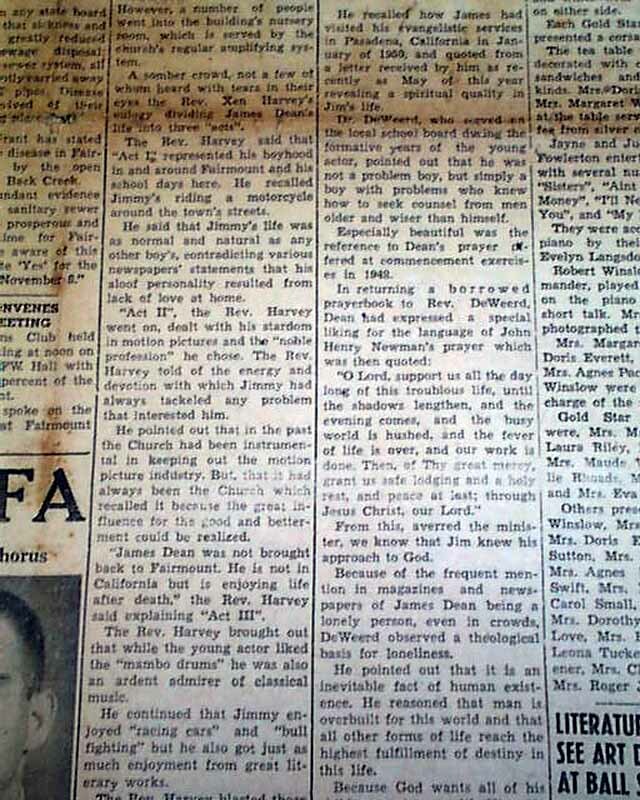 Xen Harvey, Dr. James Deweerd In Charge". 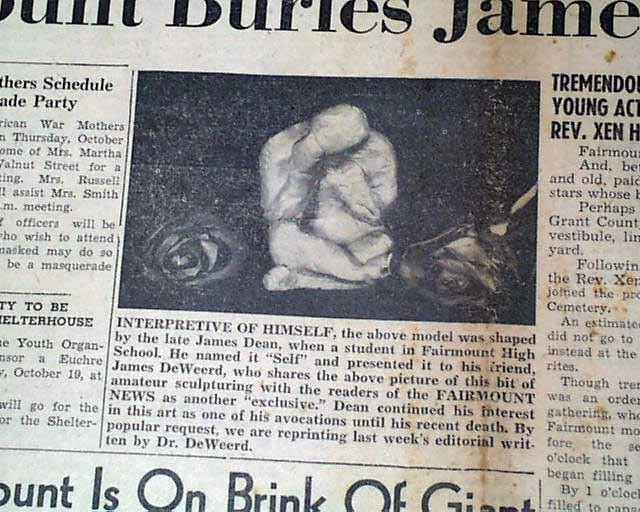 Also included is a photo of a model "interpretive of himself" which he created when a student at Fairmount High School. 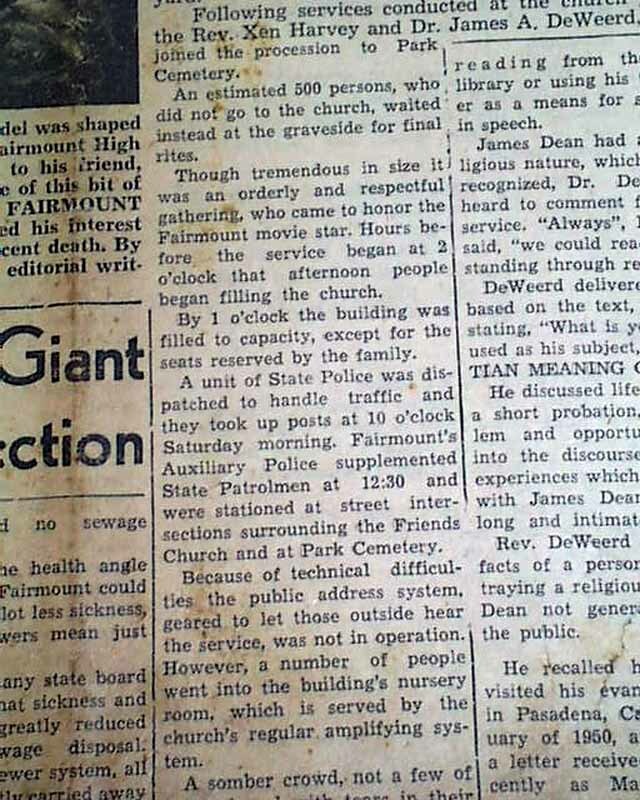 James Dean was an American actor remembered as a cultural icon of teenage disillusionment and social estrangement, as expressed in the title of his most celebrated film, Rebel Without a Cause (1955), in which he starred as troubled teenager. 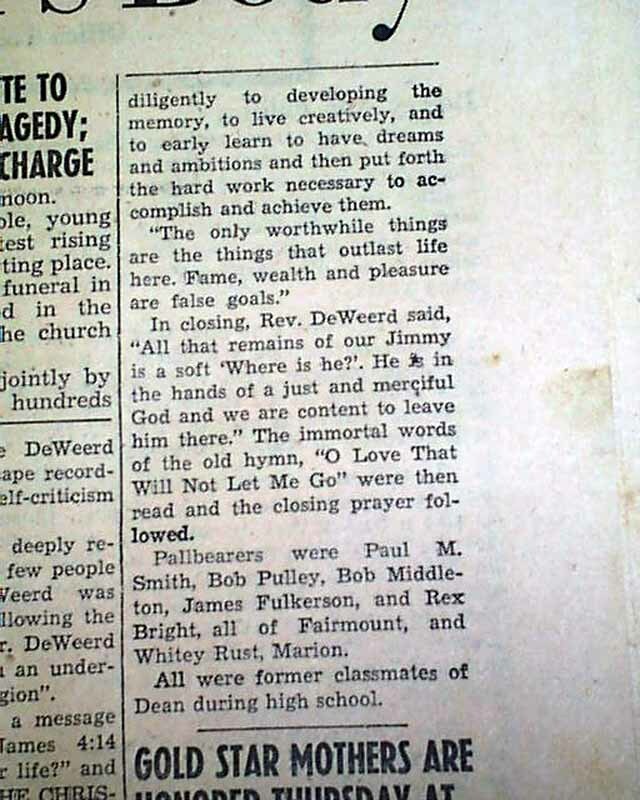 Terrific to have this notable report in his hometown (weekly) newspaper. Complete in 8 pages, some foxing at folds with a tiny hole at the fold juncture, generally nice.